KBS2 TV’s Dream High 2 which is ending on March 20th, 2012 has released new behind the scene still cuts, and who will be the Super Idol has been the focus of attention. In the published photos, Park Jin Young is giving special training to Kang So Ra. 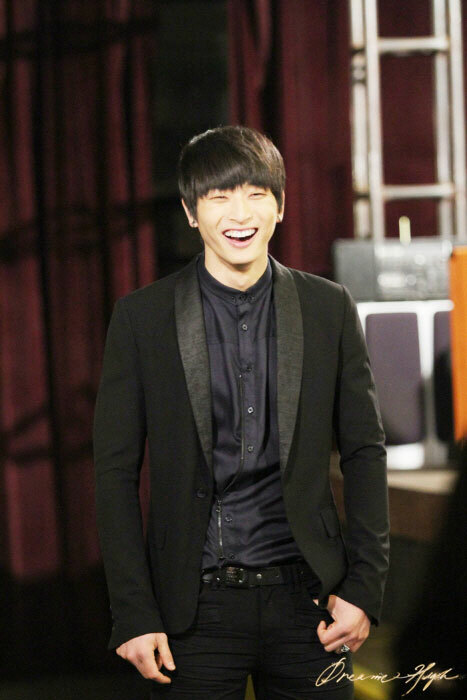 Yoo Jin (Jung Jinwoon) who becomes the super idol pacemaker is wearing a suit and smiles rightly. And JB in black hair is reading the script with sincere expression. Can the pacemaker of JB, Jin Yoo Jin can smoothly becomes the super idol, and can the dream and love of JB and Hae Sung (Kang So Ra) can be realized are under the spotlight. On the other hand, only two episodes of Dream High 2 remained, and the drama broadcast on Monday and Tuesday via KBS2.